Beautiful album that haven't got the attention it deserves. 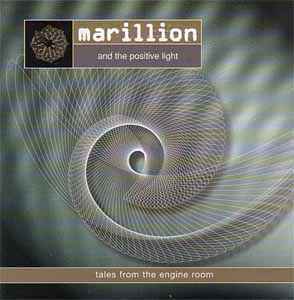 Marc Mitchell and his manager at the time Mark Daghorn spent a year remixing some tunes from progressive rock band Marillion's album "This strange engine". The hard work resulted in a very unique sounding album with hints from both trancy progressive house, intelligent progressive rock and deep, melodic downtempo. Very diverse styles, yes, but somehow Mitchell managed to put the listener on a "journey" through the whole album. The vocal opener "Estonia" is one of the most emotional songs, all categories, I've ever heard. It's an eleven minute long progressive rock ballad with synthesizers that gives me shivers everytime I listen to it. "The memory of water" is a typical Marc Mitchell-song at the time; a long, majestic, melodic, intelligent and powerful progressive house tune. A true classic! "This strange engine" is almost 21 minutes long and has a lot of phases in a progressive rock kind of way. It's a magic journey through beautiful ambient soundscapes, deep and vocal dub and finally a dramativ rock climaxe where Marillion's singer Steve Hogarth is shouting in the most touching and beautiful way. "One fine day" combines chilled, sophisticated rock with triphop/downtempo beats. It's a very dreamy and atmospheric song that really hypnotizes you. Lovely! "The final track, "Face 1004", is also an extemely beautiful and powerful trancy house/housy trance tune that really blew my mind the first time I heard it. Oh, I could kill to hear this song where it really belongs: IN THE CLUB! This albums isn't actually hard to get at all. Marillion is one the biggest bands in their genre, so it is definately possible to get a fresh copy of this album. Every open minded EDM-lover should hear this album. It's a great way to get introduced to not Marillion and, of course, the mastermind of Marc Mitchell. Mitchell is definately up there together with Aphex Twin, Simon Posford, Pete Namlook and all the other big boys of Electronica!